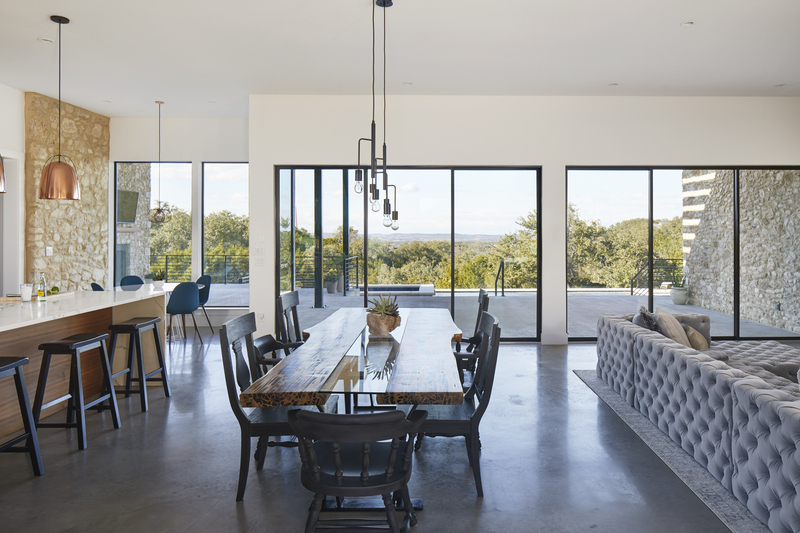 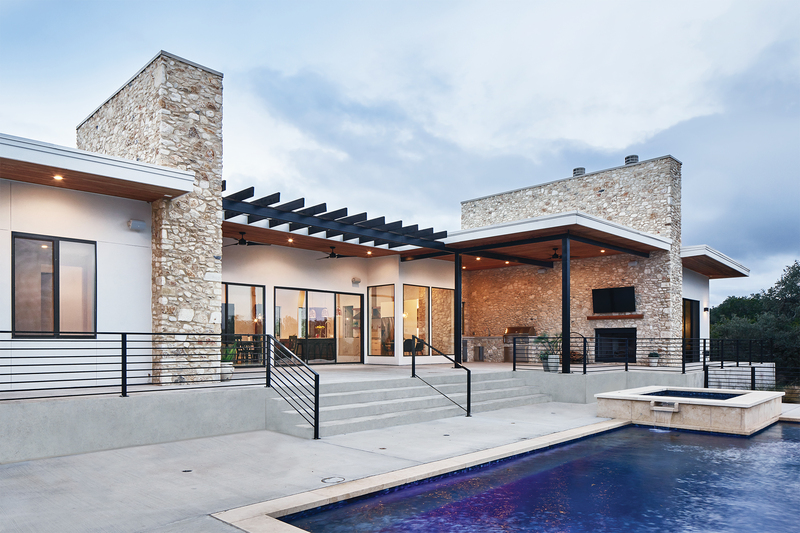 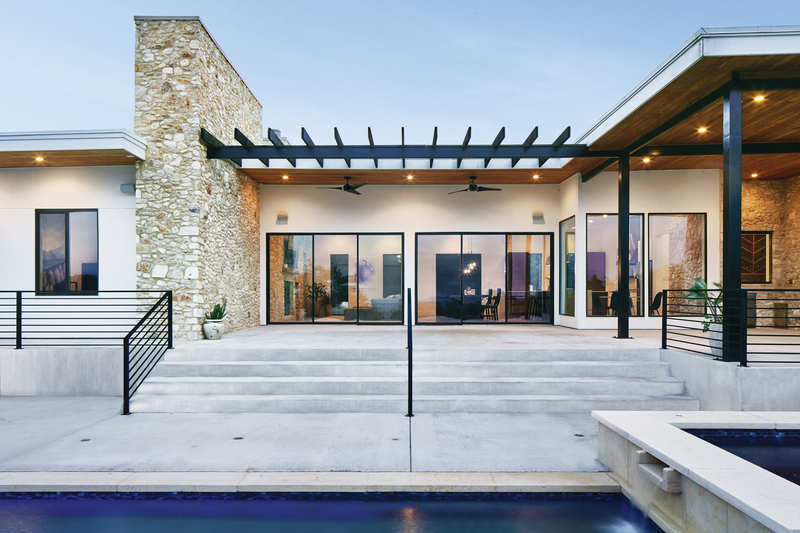 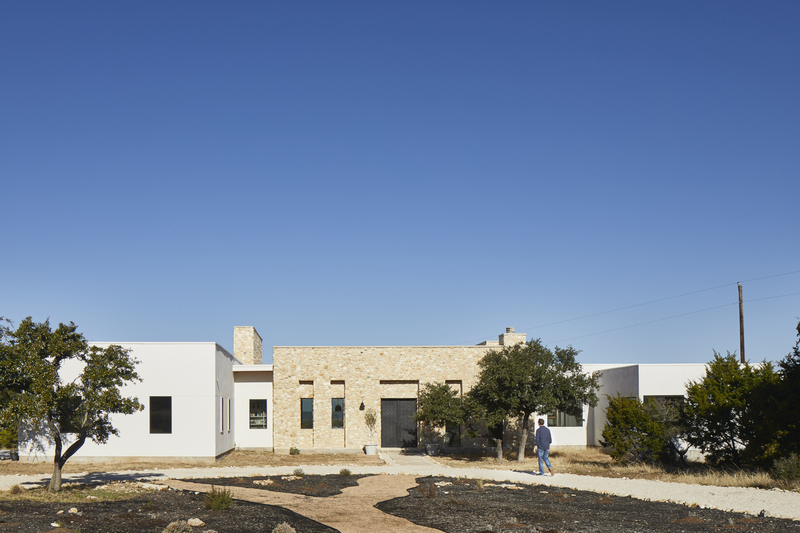 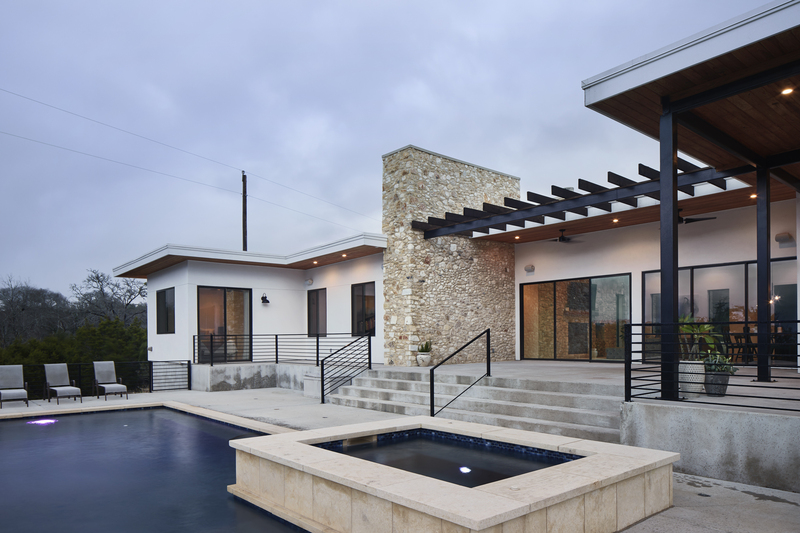 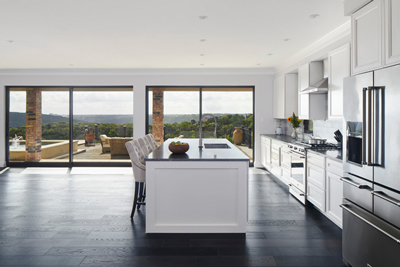 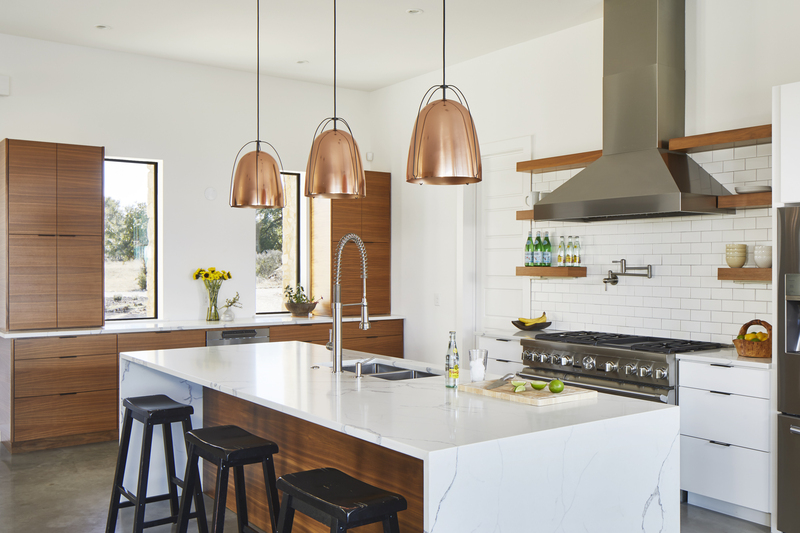 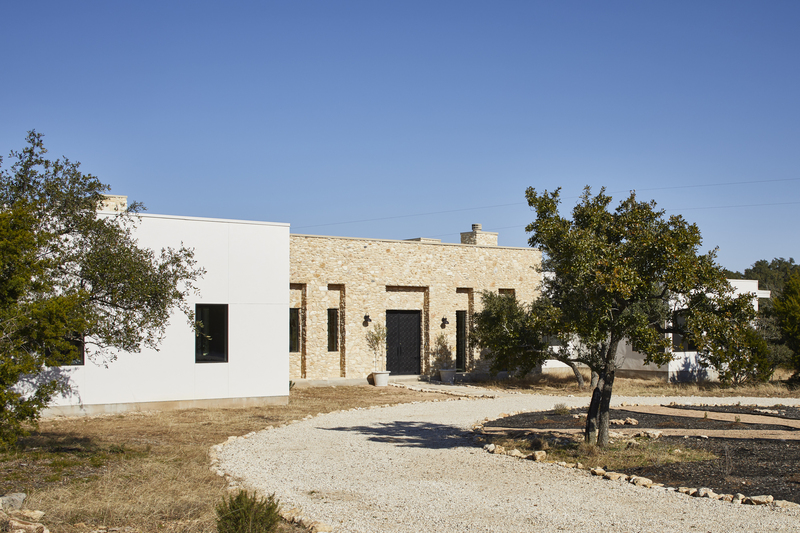 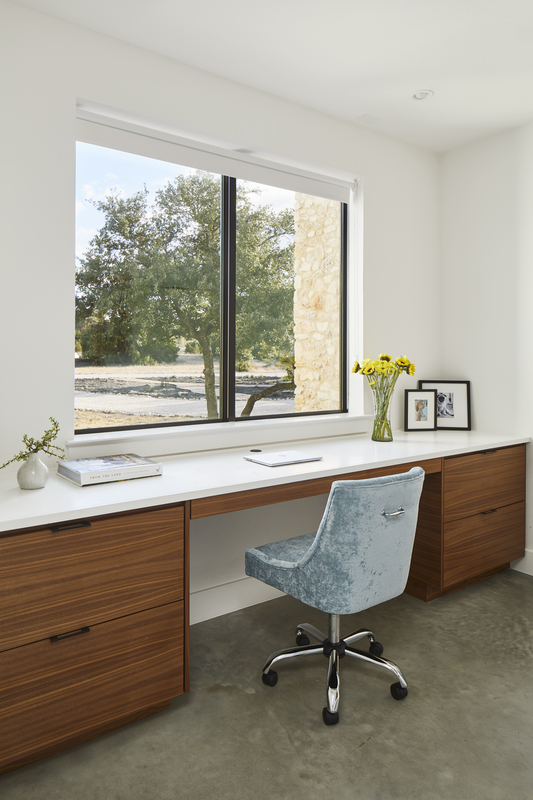 The Reimers Road Residence is a new construction, single-family residence located in the hills of Spicewood, TX. 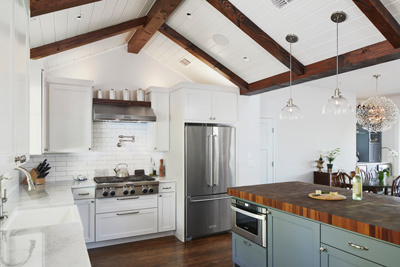 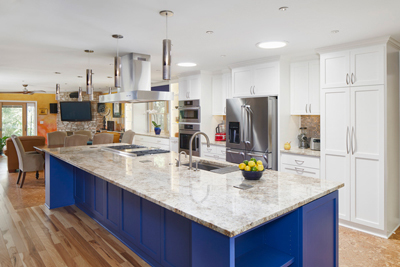 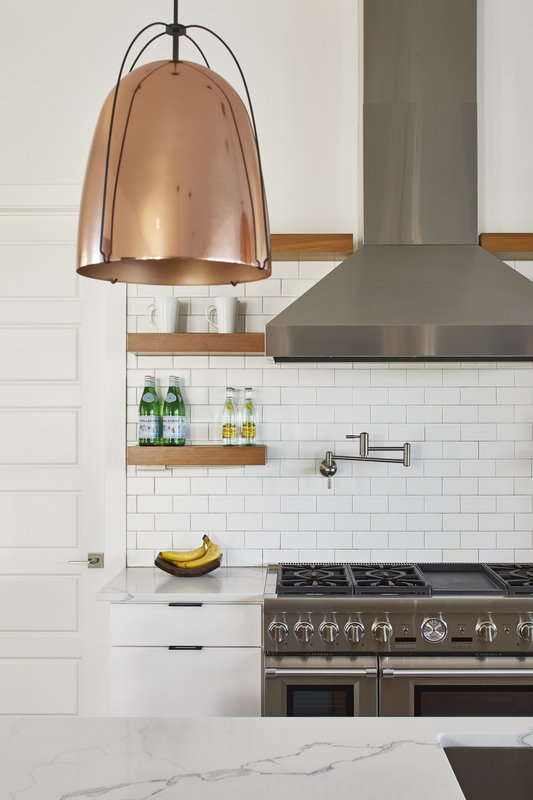 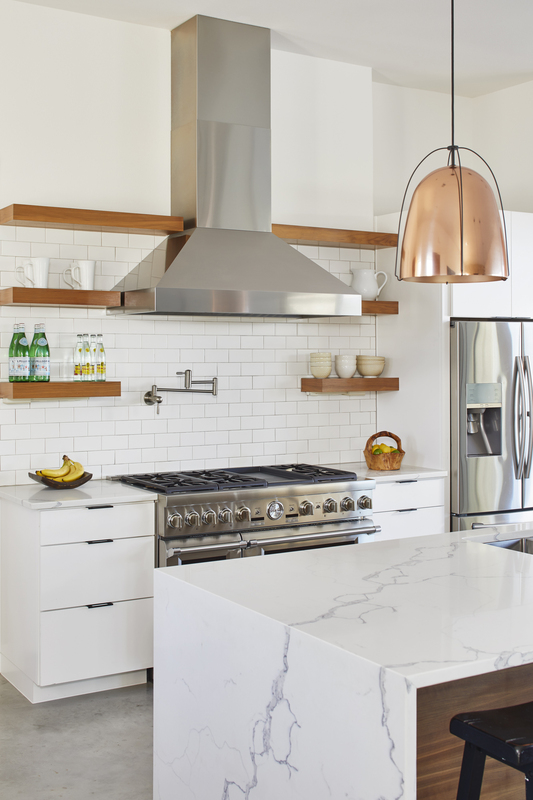 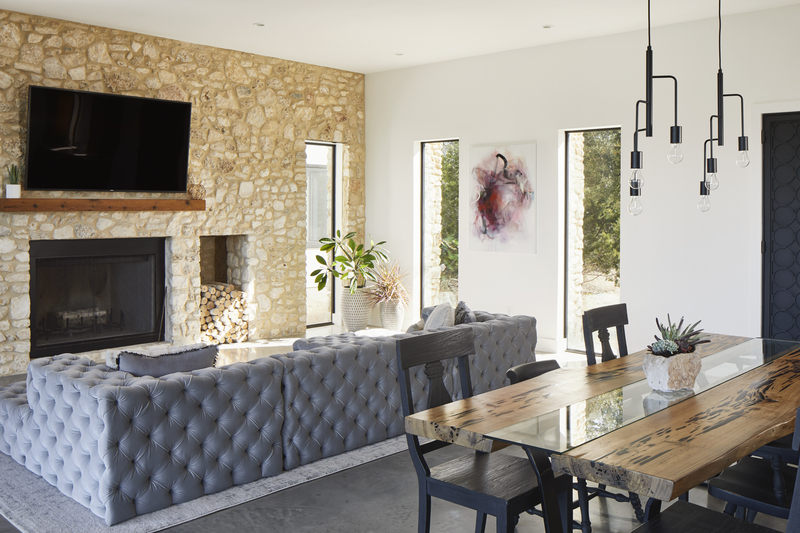 It expresses modernity while remaining homey with its warm tones and balanced palette of materials. 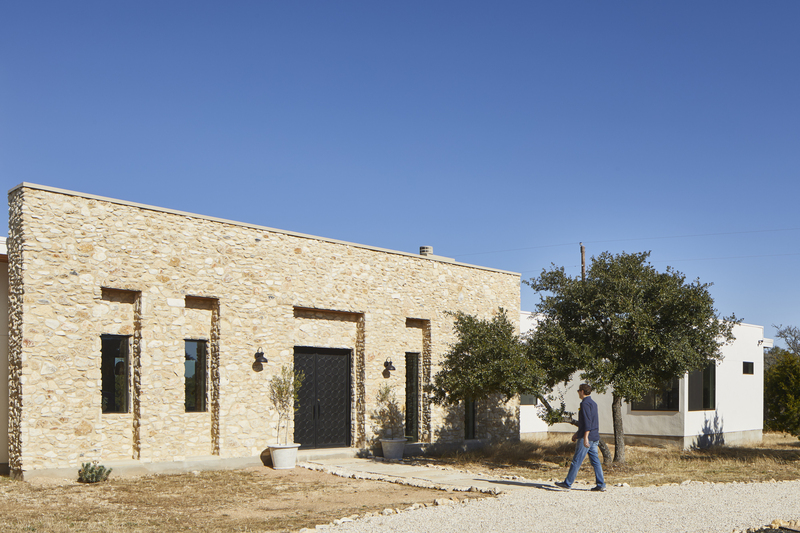 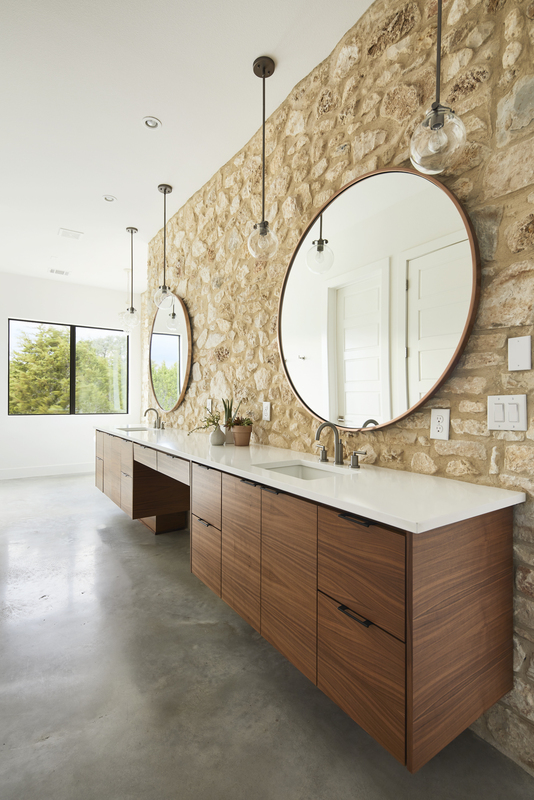 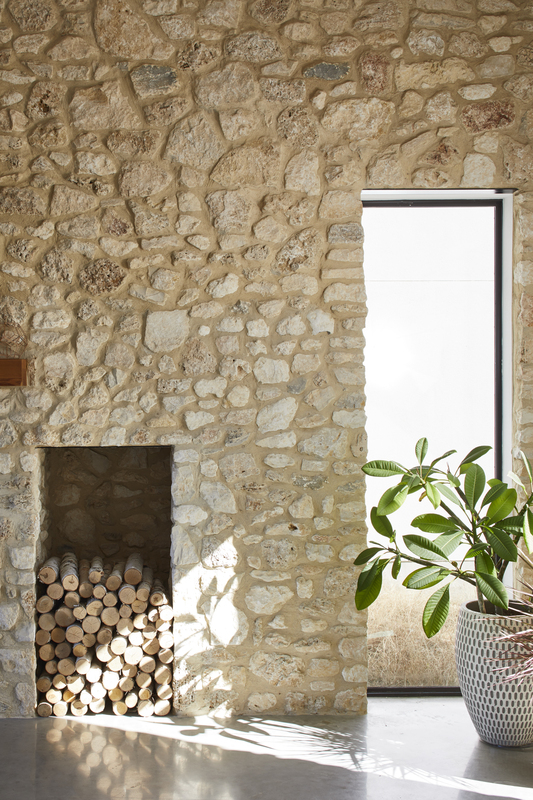 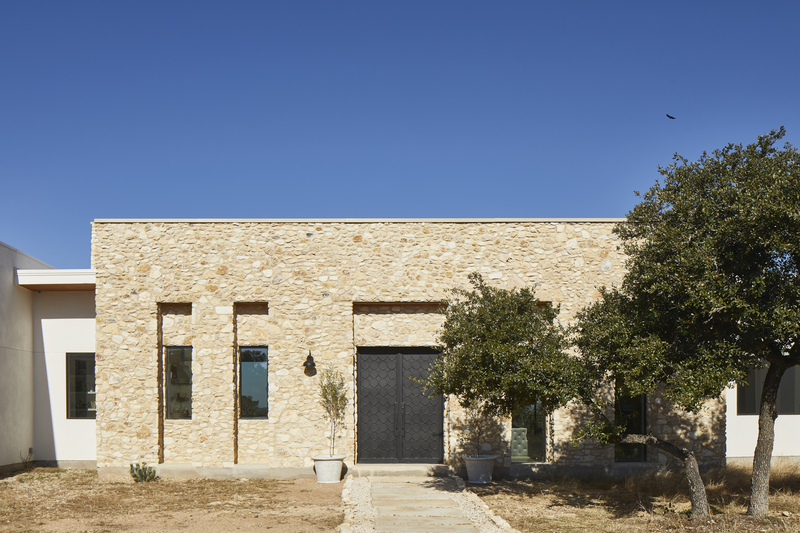 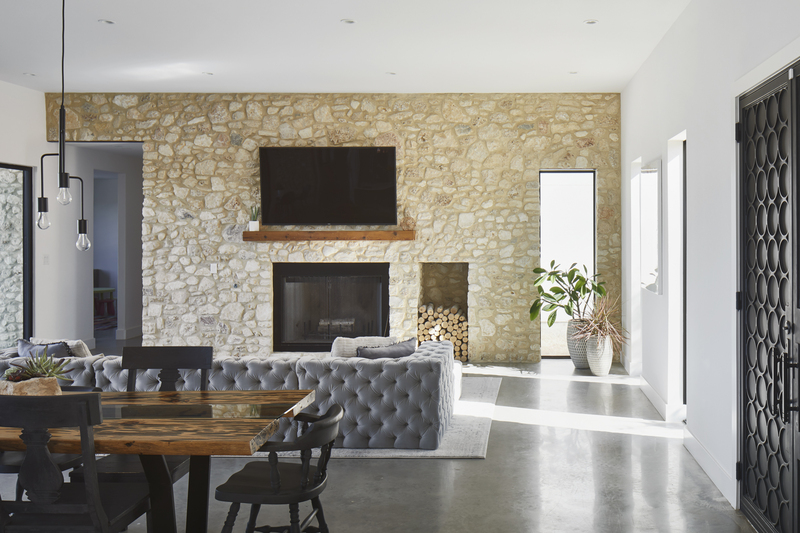 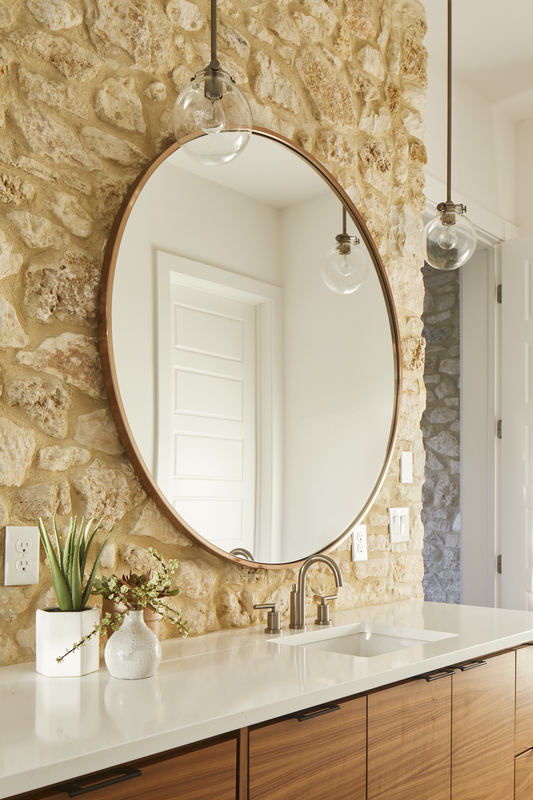 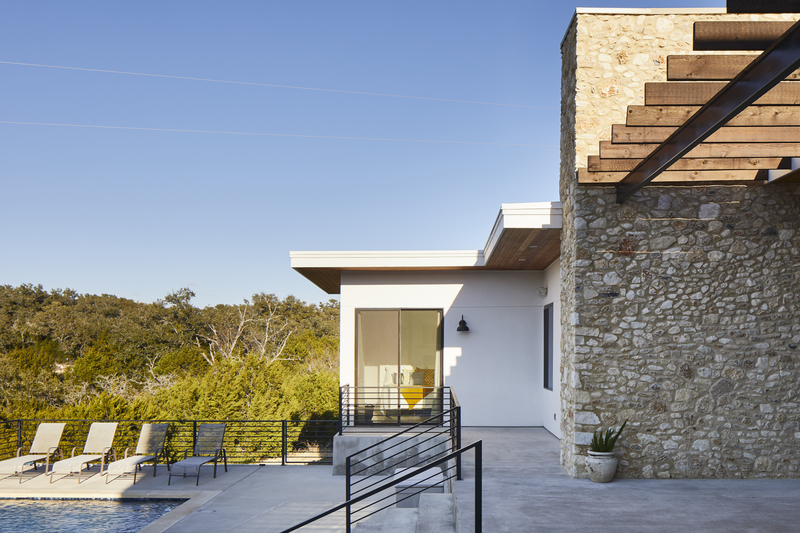 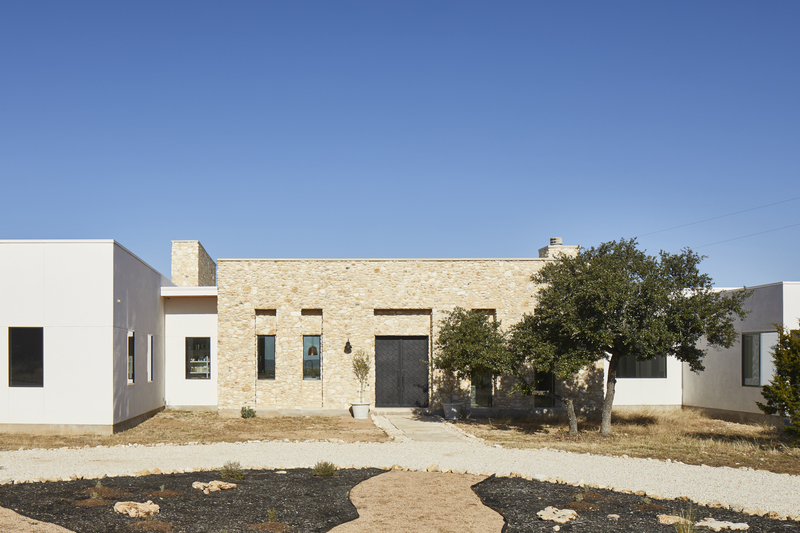 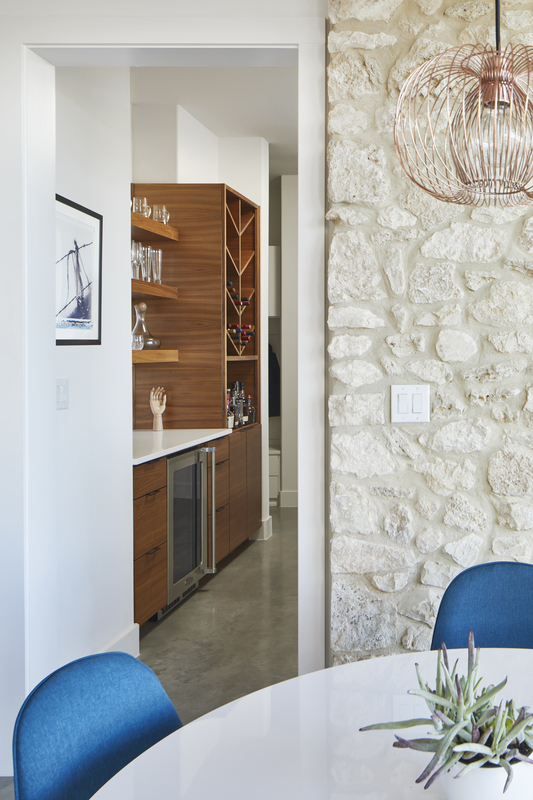 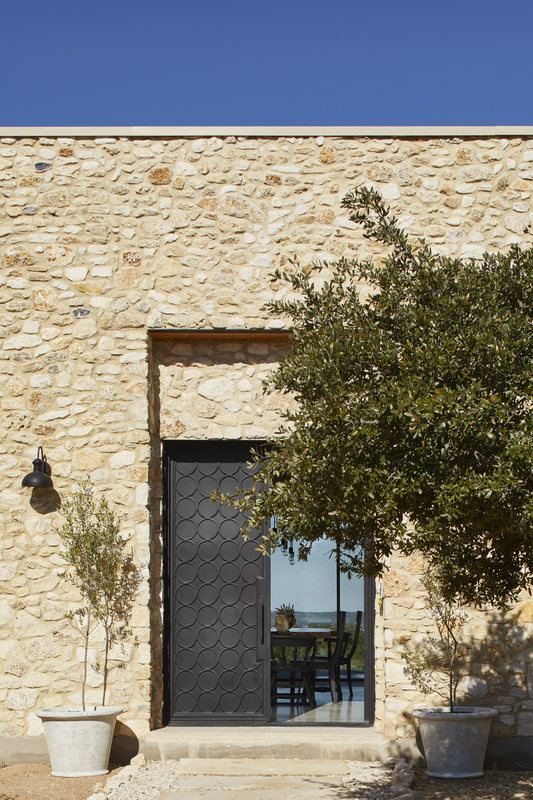 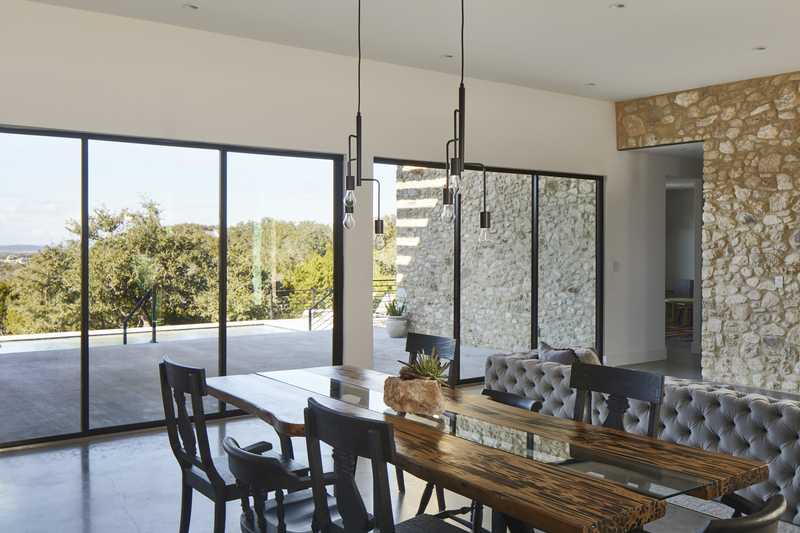 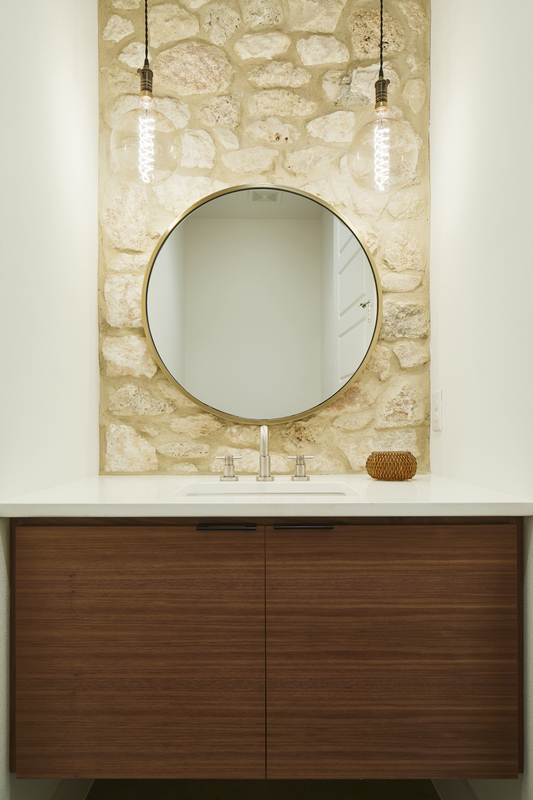 The stone masonry carefully transitions between the interior and exterior spaces of the home, creating a cohesive language between the surrounding Texas Hill Country landscape and the home’s modern architectural style. 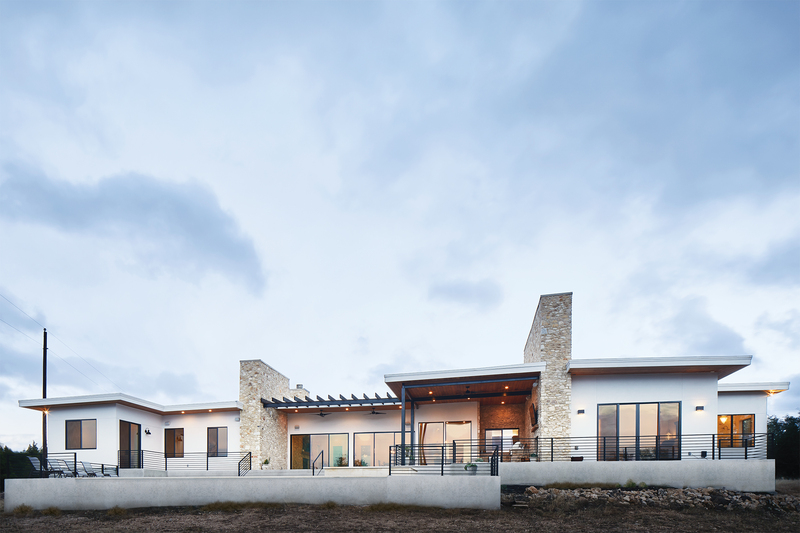 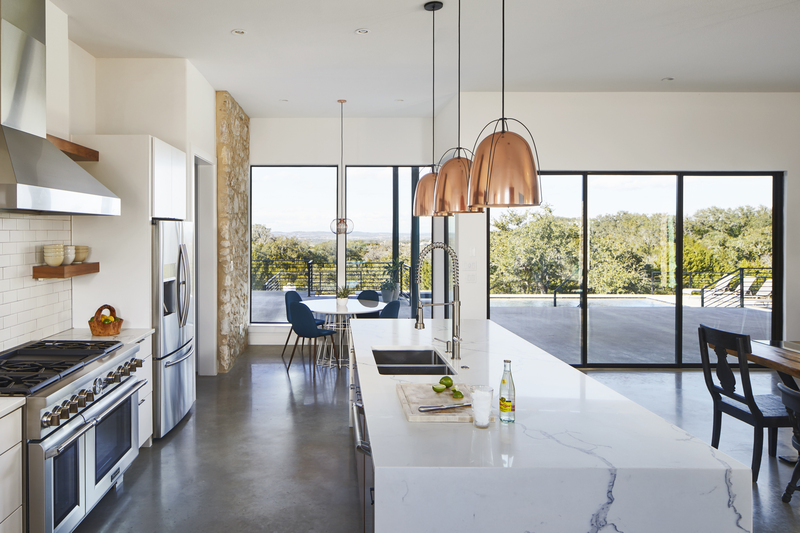 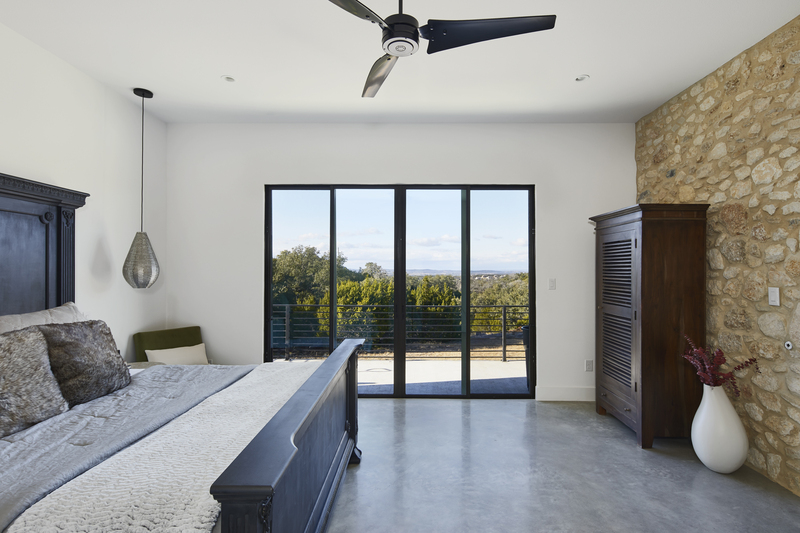 Sited at the edge of a bluff, this residence was designed to take full advantage of the fantastic northern views of the Texas Hill Country. 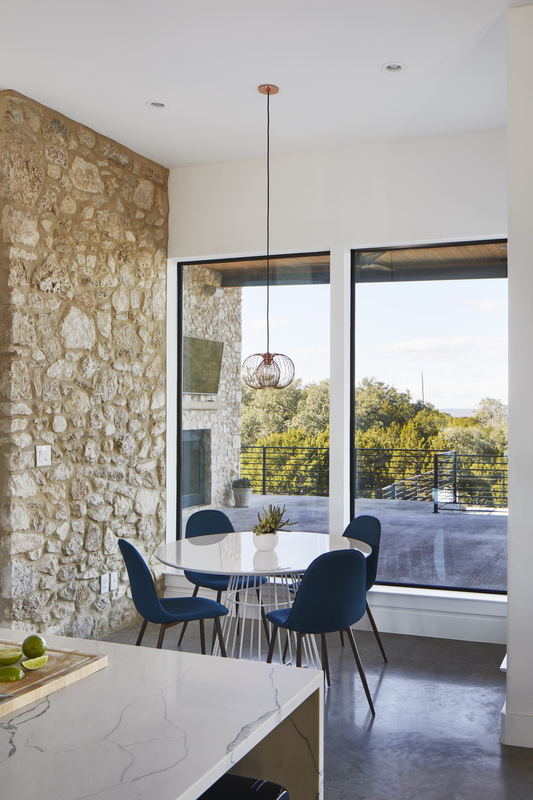 The large stone walls frame the view, as well as, aid in maintaining privacy from the street through mass and modest fenestration.